Dina Kotsiou is a printmaker. She graduated from the Printmaking Department of the Athens Fine Art School with professor K.Grammatopoulos. 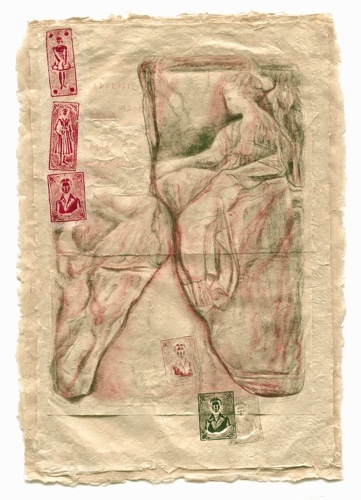 Later she completed a scholarship of the State Foundation of Scholarships in printmaking and attended a postgraduate program in lithography in the Tamarind Institute,( University of New Mexico, USA). She has effected 14 individual exhibitions, participated in a large number of group exhibitions in Greece and abroad and activated in the field of printmaking with elections, seminars Read More and workshops. Artworks of her can be found in private collections, embassies, museums and in other public places. She teaches Printmaking as an associate professor in the Printmaking department of the Fine Art School of Athens.